A clean car needs a clean cover! Every car cover gets dirty, especially those outside in the weather. Custom car covers aren't cheap; they demand the care their expense involves. And besides, you want to keep that cover in good shape so it can protect your larger investment, your car or truck. Let's discuss taking care of custom car covers. You should always follow the care instructions a manufacturer recommends. These can be very specific. If there is one thing in common among all covers, it's that a commercial front load washer is best. One without an agitator. Another piece of advice is to run the rinse cycle twice to get rid of all cleaning agents. Although some custom car covers can be stuffed into a large home washer, really, cleaning is a project for the laundromat. Keep the fabric softener at home because all covers can be damaged by it. Drying on the hot cycle is out for all covers, all though some can survive on the medium setting. Air drying, although perhaps lengthy, is a win for all covers. Some people say you can drape the wet or damp cover over the car and let it dry there. Don't do that. A moist cover will pick up all the dirt, dust and grease of the car before it dries. What about detergent? It seems there are only two choices: powdered detergent and Simple Green. Simple Green is available in many grocery stores and nearly all hardware stores. You dilute it with water, using 1/4 cup of it to 1/4 cup of water. Don't use bleach, by the way, car cover fabrics are incompatible with it. Speaking of fabrics, let's run down some common types and their treatment. Here are the names and treatments for some popular covers. Polycotton, Flannel, Customweave, Plushweave: Home or commercial washer, powdered detergent or Simple Green, warm water wash, machine dry on medium heat. Fleeced satin: Home or commercial washer, powdered detergent or Simple Green, warm water wash, machine dry on medium heat. Form-fit: Home or commercial washer, powdered detergent or Simple Green, warm water wash, medium dry. Satin fleece: Home or commercial washer, powdered detergent or Simple Green, warm water wash, air dry. Dustop�,200 Series, 300 Series, 380 Series, Reflec'tect�, Evolution�, NOAH�, Stormweave: Commercial washer, Simple Green, cold water wash, air dry. WeatherShield�HP: Home or commercial washer, powdered detergent, warm water wash, medium dry. Ultra'tect�: Home or commercial washer, Simple Green, warm water wash, medium dry. Sunbrella�: Commercial washer, Simple Green, warm water wash, medium dry. WeatherShield�HD, ViewShield�, Grafix�: Home or commercial washer, powdered detergent, warm water wash, medium dry. Again, always refer to your manufacturer's instructions. Or call your car cover company if you are not sure. 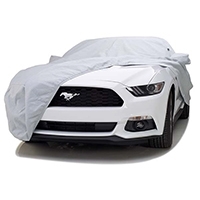 Take care of your custom car cover. The names above may vary from company to company, even if the seller refers to the same product. What is a Jeep adventure package?